The LG Optimus G2, or simply the LG G2, is one of the hottest upcoming phones, but it is also unique - it has its volume controls on the back. We have previously seen leaks, but this is the first time we get to see the upcoming and yet unofficial G2 fired up and fully functioning on a carrier network. The LG G2 here is a version specific for Korean carrier LG U+. It carries the model number LG-F320L and it looks similar to earlier leaks of the supposed international G2. What can we say about this image? Obviously, it confirms the weird placement of the volume rocker on the back. Additionally, two details are explicitly confirmed - the fact that the phone will have 2GB of RAM and not 3 gigs as previously heard, and the fact that it’d have a 2540mAh battery. Bear in mind that the phone is not yet official, and LG is only expected to unveil it on August 7th. You won't say that if it's Apple or Samsung, am I right? Yeah, same old Wendy Garett, a kiddo that wants attention. You haven't had any of the latest LG models,right? LG Optimus G Pro is very reliable... Way way more reliable than say the Apple iphone 4 which I had 3 of them in span of 6 months before getting rid of it... They all had issues, including blacking out when laid down on any surface... I've had the LG Optimus G Pro for 2 months and everything works flawlessly. In my opinion it ranks up there with any Samsung phone. I have the Optimus G........its the best damn phone i've ever had. The build quality is amazing. The display is beautiful....and the the phone is fast never lags. A few of my friends have switched over to the Optimus G after playing with my phone. Yes they liked it that much. Totally agree with that,I have had the Samsung Galaxy S3 and the LG Optimus G for a while, and I kept the LG,camera on the Galaxy S3 is a bit better,but the battery life, the smoothness of the LG, the casing etc...made me change my mind. The Samsung feels so "plasticy", my next device is going to be the LG Optimus G Pro,regardless of being a copycat. Why such a small battery? This phone needs at least a 3000 mAh battery. 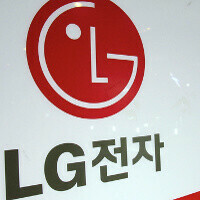 I'm looking forward to this, bring it on LG! LG,hardware is good,what about frigging updates? I really like that they put the speaker below not on the back and bezel of the side are thin. Its really are odd why you put volume rocker below the camera. I have a n4 and I'm happy but I can't wait to have this phone on mi hand, does anyone now when they ship's this phone in Mexico. Why does this 5.2" phone has a smaller battery than a 5" one? get a BIGGER BATTERY LG! Volume on the back? Isn't that kinda bad move? Yeah good design but looks like Nexus 4 l'il bit stretched, specs are superb.